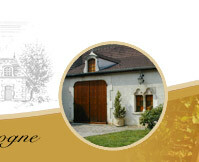 The MARCHAND estate has been in existence for over seven generations in Morey-St-Denis. In 1983it was extented with the purchase of an old winegrower’s house right in the heart of Gevrey-Chambertin. The present building was erected in the 18 th century above a cellar in which the owner used to mature the wines he produced and kept them in bottles. The MARCHAND estate includes vineyyards located in the villages of Chambolle-Musigny, Morey-Saint-Denis, Gevrey-Chambertin featuring some first growths such as Les Sentiers at Chambolle, le Clos des Ormes at Morey, les Combottes at Gevrey, as well as great growths : Clos de la Roche at Morey, Griottes Chambertin and Charmes Chambertin at Gevrey. 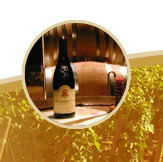 In 1999 the Domaine MARCHAND Frères has been undertaken by Denis MARCHAND. The grapes are harvested by hand Then they are laid to ferment in stainless steel vats before wines will be perfected for 15 to 18 months in oak barrels (with a proportion of new barrels, depending on the appellations). Our wines are often mentioned in renownedguides such as the Guide Hachette, Gault & Millau, Dussert Gerber, Gilbert & Gaillard and in the Revue des Vins de France.